If you prefer practicality dressing when it comes to your personal style, you'll love this easy pairing of a grey blazer and a black tie. Polish off the ensemble with black leather derby shoes. 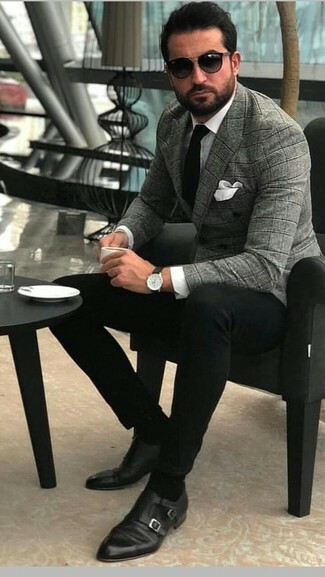 We all seek comfort when it comes to dressing up, and this combination of a grey plaid double breasted blazer and a DSQUARED2 Classic Tie is a good illustration of that. Channel your inner Ryan Gosling and opt for a pair of black leather double monks to class up your outfit. 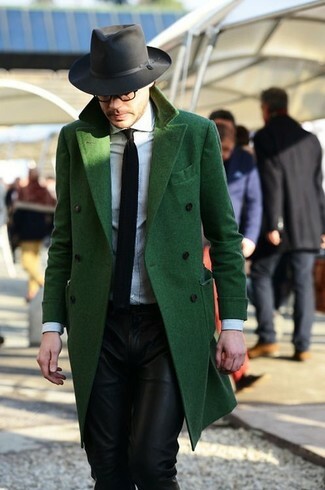 If you're all about being comfortable when it comes to fashion, this combination of a green overcoat and a DSQUARED2 classic tie from farfetch.com is what you need. 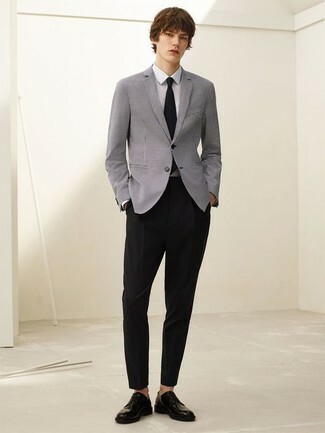 If you prefer relaxed dressing when it comes to your personal style, you'll love this neat pairing of a charcoal blazer and a DSQUARED2 classic tie from farfetch.com. 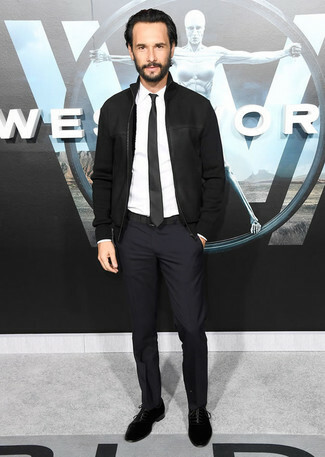 If you're a fan of relaxed dressing when it comes to your personal style, you'll love this simple pairing of a black bomber jacket and a DSQUARED2 classic tie from farfetch.com. Sporting a pair of black suede oxford shoes is a simple way to add extra flair to your ensemble. 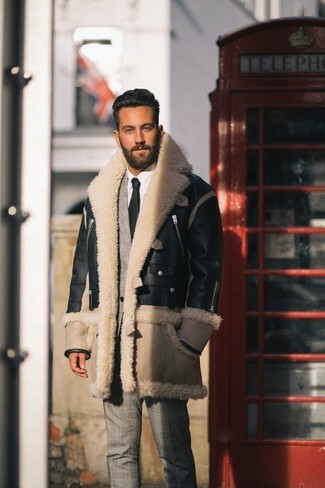 If you're all about relaxed dressing when it comes to fashion, you'll love this knockout pairing of a black and tan shearling jacket and a DSQUARED2 classic tie from farfetch.com. 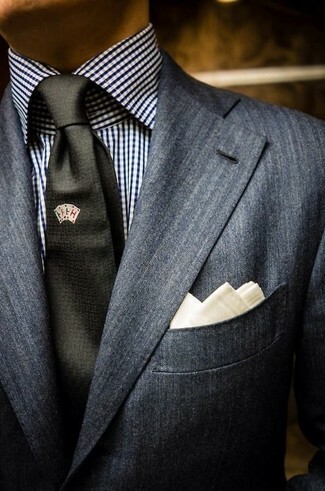 If you're hunting for a casual yet stylish getup, pair a black suit with a DSQUARED2 classic tie. Both pieces are totally comfortable and will look great paired together. Grab a pair of black leather loafers for a masculine aesthetic. 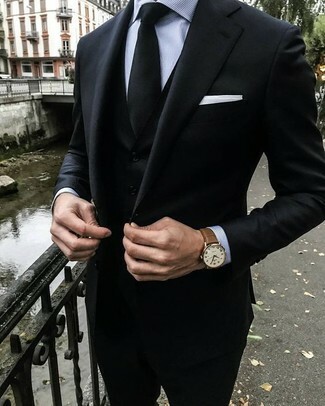 If you're on the hunt for a casual yet stylish look, opt for a black three piece suit and a DSQUARED2 classic tie from farfetch.com. Both items are totally comfortable and will look great together. If you're hunting for a casual yet seriously stylish look, try pairing a charcoal waistcoat with a DSQUARED2 classic tie. Both items are totally comfortable and will look great together.